About the Author MATT SMITH is Collection Development Specialist at Kalamazoo (MI) Public Library. Contact Matt at matts@kpl.gov. Matt is currently reading The Fire This Time: A New Generation Speaks about Race edited by Jesmyn Ward. Hermann Hesse once wrote that “nothing in the world is more distasteful to a man than to take the path that leads to himself.”1 This is a story of self-critique, about finding a problem in myself and fixing it. This is also a story about changing the culture of libraries. Imagine a team of alien anthropologists visiting libraries across America, including yours, to study the relationship between public libraries and patrons. They secretly watch your meetings, your water cooler banter, your interactions, your emails, your Staff Days. Clipboard in hand, they observe a depressing and paradoxical state of affairs, something we allow to happen every day in our public libraries all the time: patron bashing. They do a quantitative analysis on how we talk about patrons. They logically conclude that we must secretly hate the very people we serve. I didn’t always care about patron bashing. In fact, I was pretty darn good at it, if I do say so myself. But that’s simply not true. The whole thing is a crock, a sham, a failure in thinking. As a philosophy major, I’ve always been interested in fallacies and the psychology behind flawed thinking. Perhaps that’s why I began to notice that something was wrong with me. Why was patron bashing suddenly a feature of my personality, part of my daily job description? I was supposedly an optimist. I had a patron bashing problem and I knew it. I began thinking more deeply about the phenomenon. Why do we do it? Is this healthy? We don’t hate patrons. Most people that work in libraries are good people. How did we get here? After becoming a librarian and serving patrons in a different capacity, I thought about the issue deeper. Complex phenomena usually have complex causes. I came up with a few broad explanations, all having to do with flawed thinking and unconscious bias. All of these are well studied and affect our lives on multiple levels. To start things off, consider negativity (memory) bias. Psychology tells us that our memories much prefer negative events to neutral or positive experiences. This is a hard-wired evolutionary survival feature. Memory is not a truth machine or logbook. It’s interested in survival, which means giving more weight to negative memories. It was more beneficial to remember the time our cousin was killed by a lion (lion = danger) rather than the time he wasn’t killed by a duck, gazelle, or rabbit. Translation: we tend to remember negative patron experiences, we tend to forget positive patron experiences, and we rarely register neutral patron experiences (unmemorable by definition). One day, I decided to put my negative memory to the test. I started a tally sheet with three columns: good, bad, and neutral experiences. I took it out to the reference desk for a couple shifts. Not surprisingly, the results were clear: life at the public service desk is quite pleasant and usually uneventful. My tally sheet had a significant number of good experiences, zero bad experiences, and mostly neutral experiences. I understand this tally fluctuates based on public service desk, but you get the point. An objective look at what really happens on a day-to-day basis is an enlightening exercise. It’s not about forgetting, but remembering what you constantly are forgetting. The next explanation for patron bashing is the evil cousin of negativity bias: confirmation bias. The classic example is the researcher who only sees evidence that supports his theory and ignores evidence that contradicts it. In the library, after being tricked by our negative memory, we begin to form a philosophy or worldview about patrons: that in fact, these negative things are always happening and that patrons really are naughty. Equipped with that assumption—patrons are naughty—we selectively pick experiences that confirm that perspective while ignoring the ones that don’t, bolstering our worldview, letting it slowly infiltrate our souls. At this point, we have fallen into the abyss, and it only gets deeper. Negativity bias and confirmation bias are powerful defects, affecting all aspects of personal and professional life. I began to notice the interesting phenomenon of staff members obsessing over reading incident reports, that beautiful log of everything weird at the library. This is juicy patron gossip for the most part and, like reading the National Enquirer at the grocery store, it’s kind of a guilty pleasure. Safety is one thing—and it’s informative to know which patrons are banned—but religiously reading about the latest drunk person or torn-up book seems unproductive to me. I question the motive. This could easily lead to confirmation bias and the idea that tons of patrons are constantly transgressing. But statistics tell us that an infinitesimal amount actually break the rules. Ninety-nine percent of our patrons behave. What if we spent 99 percent of our time talking about those 99 percent? How would that affect customer service? Consider how many patrons are in your ILS right now. Consider how many people walk through the doors each day, each week. Now consider how many banned patrons you have (we have eighty-six). Next, I thought about the social aspect of patron bashing. Talking crap about patrons always involves co-bashers, coworkers, “co-ruminators” (as the literature would say). We need dance partners, and they are available, ready, willing, and part of the problem. I actually thought the social aspect was the point. I thought that patron bashing was good for camaraderie, relationship-building, or feeling better about an incident. I was wrong (more on that later). Sociology provides us with the concept of groupthink, the tendency of people to go with the flow rather than going against the grain or speaking up.2 Listening to someone bash patrons is an exercise in groupthink: person A bashes, person B listens awkwardly, person C follows suit. Nobody wants to be rude, understandably so. But repeat the process, and patron bashing becomes the workplace culture, spreading like wildfire throughout the organization. Lastly, I thought about larger societal problems, many of which stem from flawed and biased thinking. These are unconscious biased perceptions shared by an entire culture. Patron bashing reminded me of various –isms. Prejudice is fueled by false narratives and stereotypes about certain groups of people. Patron bashing is fueled by false narratives and stereotypes about patrons. More directly, patron bashing can be a form of disguised racism, a way to talk about ethnicities without seeming to. Lastly, patron bashing has an underlying hint of classism, of snobbery, of paternalism, of “I’m a smart librarian.” You certainly see that in academic libraries as well. Patrons are people. They are entitled to the empathy and respect that all people deserve—the more the better. Some people are homeless and poor and undereducated and struggle with mental illness, and that’s important to understand as public servants. Patrons represent that same spectrum. But here’s the point: it shouldn’t matter when it comes to patron bashing. Treating people with respect and dignity is categorical and universal. The movie Vanilla Sky has a memorable line that speaks to the beauty and horror of free will: “Every passing minute is another chance to turn it all around.”3 Scary, but true. The effort to end patron bashing is a good opportunity to take advantage of that statement. Learning about my flaws was enlightening to me, like I’d solved a problem or uncovered a secret. It was a small moral victory. The behavior made sense now. Understanding, for me, was a huge step towards changing my thoughts and behavior. Patron bashing doesn’t have an on/off switch. In my case, I gradually stopped doing it (although to be honest, occasionally I still do). The more I thought about it, the less I did it. Armed with a little bit of knowledge and inspiration, I began to do speaking gigs and Staff Days. I became “that guy that talks about patron bashing,” a reputation that I awkwardly but humbly embraced. I talked to library staff, who agreed: patron bashing is killing our spirit of public service. We need to fall back in love with patrons. The theory of venting, or letting off steam, has been with us since the Roman gladiators. Watching brutal sports was said to have cathartic effects, to release the aggression within us. Freud promoted the same cathartic model, imagining we were hydraulic machines, filled with fluids that build up. Today, the virtue of venting is common sense, a kind of folk psychology that everyone intuitively believes. Except the hydraulic model is false. To take my understanding to the next level, I collaborated with Samantha Minnis, a passionate and brilliant librarian from Grand Valley State University. Together we dove into the literature and learned more about the psychology of venting and what science had to say about it. We learned that science is oddly but overwhelmingly in agreement on the issue: venting and rumination is not good for anyone involved—not the person you are venting against, not you, not your coworkers, not even innocent bystanders that you could potentially harm. Article after article, study after study—we were actually shocked at the depth of treatment. Ruminating with colleagues is not a good way to build relationships, and it’s not a healthy way to recover from a patron interactions. Patron bashing comes in two different flavors. First, passively talking about patrons in a negative light. This is general and not tied to a specific negative experience or patron. Second, having a negative experience with a patron and subsequently ruminating and venting about it. The former is more prevalent but much easier to deal with—in fact, you can simply stop doing it. The latter involves emotions and is harder to deal with. When it comes to dealing with negative patron interaction, we learned that not venting is a viable and simple option—anger can subside in as little as ten minutes.4 We learned about cognitive reappraisal, or thinking constructively about a negative interaction rather than resorting to bashing. We shared our knowledge and experience and got great feedback from librarians throughout Michigan and Indiana. When dealing with negative patron interactions, I find a lot of wisdom and solace in the old ancient moral philosophy of Stoicism, which teaches (a) controlling negative emotions with our mind and (b) not worrying about things that are beyond our control.5 The perfect Stoic would never get angry at a patron—the emotion simply wouldn’t trigger—but sometimes that’s not realistic. We work on the emotion after the fact. We step aside, take a few deep breaths, and we let the emotion run its course. Venting is not required. We also understand that a patron’s behavior is beyond our control. Whether a patron had a bad day or bad upbringing, we have no idea. We compassionately give them the benefit of the doubt, as we do for ourselves. The easiest way to stop patron bashing is to stop bashing patrons. That’s not enlightening or deep, but that’s what I’ve come to believe personally. It starts with you. You don’t have to go cold turkey. The most important thing is to never judge or look down upon your fellow colleagues for patron bashing or gossiping. Remember that it’s a completely normal and natural thing. Compassionately refrain from it, politely have real conversations with people, even have respectful debates. Be real. I’ve had many friendly debates with colleagues; some still patron bash, some don’t, and that’s okay. Some agree on an intellectual level, others on an emotional level, others on a moral level. It’s going to happen. At least my colleagues know where I stand, and that’s all I can do. Hermann Hesse, Demian: The Story of Emil Sinclair’s Youth (Frankfurt, Germany: Fischer Verlag, 1919), 134. James K. Esser, “Alive and Well After 25 Years: A Review of Groupthink Research,” Organizational Behavior and Human Decision Processes 73, nos. 2–3 (1998): 116–41. Vanilla Sky, dir. Cameron Crowe (2001). Mo Wang et al., “Can’t Get It Out of My Mind: Employee Rumination After Customer Mistreatment and Negative Mood in the Next Morning,” Journal of Applied Psychology 98, no. 6 (2013). Marcus Aurelius, Meditations, trans. George Lang (New York: Prometheus Books, 1991). B.J. Bushman, “Does Venting Anger Feed or Extinguish the Flame? Catharsis, Rumination, Distraction, Anger, and Aggressive Responding,” Personality and Social Psychology Bulletin 28, no. 6 (2002): 724–31. B.J. Bushman et al., “Chewing on It Can Chew You Up: Effects of Rumination on Triggered Displaced Aggression,” Journal of Personality and Social Psychology 88, no. 6 (2005): 969–83. B.J. Bushman, Roy F. Baumeister, and Collen M. Phillips, “Do People Aggress to Improve Their Mood? Catharsis Beliefs, Affect Regulation Opportunity, and Aggressive Responding,” Journal of Personality and Social Psychology 81, no. 1 (2001): 17–32. Elizabeth Bernstein, “Venting Isn’t Good for Us,” The Wall Street Journal: Health and Wellness, Personal Journal, Aug. 11, 2015. Jennifer Byrd-Craven et al., “Co-Ruminating Increases Stress Hormone Levels in Women,” Hormones and Behavior 53 (2008): 489–92. 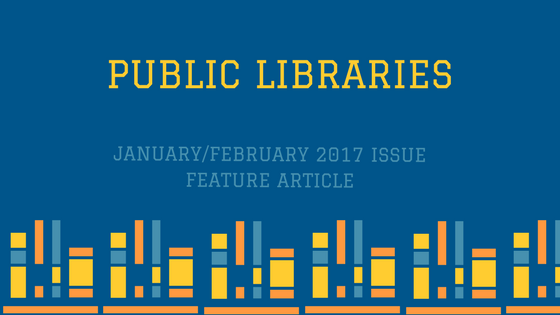 Cheryl Gould, “A Facilitative Mindset: Five Steps to a Customer-Service Culture,” Public Libraries Online, Feb. 25, 2015, accessed Feb. 9, 2017. Subha Govindarajan, “Effects of Stress and CoRumination on Creativity and Performance” (master’s thesis, San Jose State University, 2012), accessed Feb. 9, 2017. Paul Rozin and Edward B. Royzman, “Negativity Bias, Negativity Dominance, and Contagion,” Personality and Social Psychology Review 5, no. 4 (2001): 296–320.